Whether joining your Panama international conference call from a neighboring country or from the other side of the world, your participants will be routed over a reliable, high quality network. With its Central America location, Panama is close to Costa Rica, Colombia, Cuba, Dominican Republic, Nicaragua, Honduras, and Venezuela. The Panama Canal brings businesses from around the world through Panama, further adding to Panama’s international stature. Whether you’re conducting business in Panama or merely passing through, you may find the need to host Panama global conference calls with international participants. Here’s what you need to know about hosting global conference calls in Panama. Your participants will appreciate local access numbers to your Panama international conference call. Rather than giving them an access number local to Panama, using an international conference calling service allows you to give participants country-specific access numbers that are then routed to the Panama conference call. For example, those in Colombia will dial a Colombian access number while those in the Dominican Republic will dial a Dominican Republic access number. Our “legacy” global conference calling service provides international access numbers for more than 65 countries around the world. Our “extended” global conferencing service supports more than 100 countries. Call quality should be a top concern. Many countries have inferior telecommunications systems, resulting in poor international connections. Further contributing to subpar call quality issues is the use of VoIP conferencing services. Our global conference calling service is built on modern fiber optic PSTN telecommunications networks for the best international conference calling quality available. Whether joining your Panama international conference call from a neighboring country or from the other side of the world, your participants will be routed over a reliable, high quality network. You can manage your call as it takes place using our free Live Conference Viewer. Once your Panama conference call is about to begin, sign into our Live Conference Viewer. This tool allows you to initiate moderator dial out (a great way to reduce the cost of connecting participants from around the world), mute individual lines, view attendance, lock the conference, record the Panama conference call, and more. Holding Panama conference calls is affordable. With our pay-as-you-go international conference calling plans, you can host Panama conference calls as needed without a contract or minimum usage requirements. Each call is billed per person, per minute based on the rates of the underlying countries. Competitive toll free, regional, and dial out rates are available, giving you plenty of options. Live, US-based help is available 24/7. Our Panama global conference calling service is easy to use, but if you need help, help is readily available. Our US-based operators are always just a tap away. You can access help during the call at any time by pressing *0. It’s that easy! 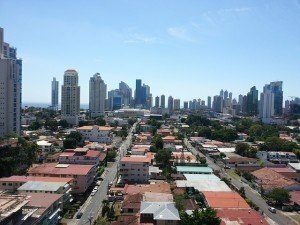 If you’re currently located in Panama and need to host an international conference call with participants from around the world, or if you’re located elsewhere but have participants located in Panama, hosting an international Panama conference call is easy, affordable, and risk free. Sign up for an international conference calling account today and host your first global conference call. You can cancel at any time.